If approved, the ordinance proposed by Councilor Joe Baldacci incrementally would increase the local minimum wage from $7.50 to $8.25 per hour in 2016, $9 per hour in 2017 and $9.75 per hour in 2018. 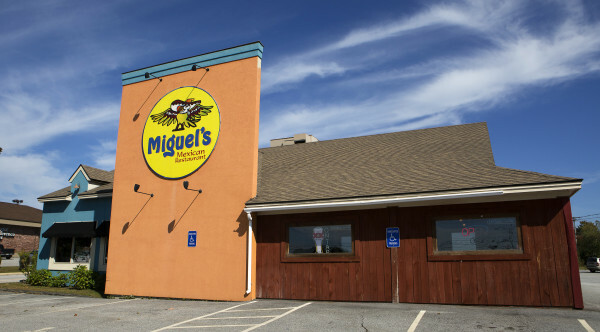 Chris Jones, owner of Miguel’s Mexican Restaurant in Bangor, said he pays all his employees at least $10.10 per hour. If tipped employees don’t make that, he said he makes up the difference, but they average about $15 per hour with tips. 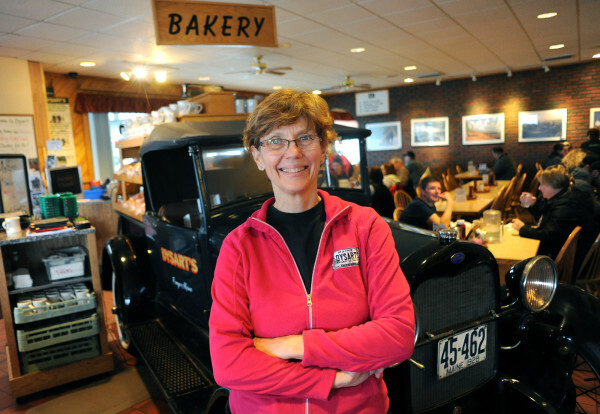 “We don’t have anybody in our employment in the full-time world who gets minimum wage," Mary Dysart Hartt of Dysart’s restaurant said. BANGOR, Maine — The Maine Restaurant Association is taking a stand against a proposal to raise the local minimum wage to $8.25 beginning next year with further pay hikes to come. During a public hearing Wednesday, Richard Grotton, former president and CEO of the association, explained the association’s opposition. “Raising the minimum wage deprives employees and employers of the satisfaction of giving and receiving a merit pay increase based on performance,” he told the City Council. The association confirmed Thursday that Grotton, who is retired from the association, serves as a consultant and presented the group’s official opposition. While the group’s website does not list its members, there are about 100 restaurants in Bangor, according to Bangormenus.com and the websites of fast food and chain establishments. He also argued the proposed ordinance does not account for other worker-related expenses faced by businesses, such as vacation time, health insurance and other benefits, and he said the association’s opinion is that municipalities lack the legal expertise to enforce labor law. He criticized the ordinance’s exclusion of workers under the age of 18, saying it appears to establish two minimum wages and could lead to potentially perilous calculations for employers. “They must be absolutely certain that each employee’s birthday is accounted for to determine which wage rate should apply,” Grotton said. After that, the minimum wage would fluctuate with the Consumer Price Index, a measure of inflation. It would exclude tipped employees, workers under the age of 18 and businesses with three or fewer employees. Grotton’s opposition to the proposed pay increase was mirrored by other restaurant owners addressing the council Wednesday, including Mary Dysart Hartt of Dysart’s restaurant. Hart added that their typical employee makes well above minimum wage. Despite opposition from restaurant owners, more people spoke in favor of the proposed wage hike than against, 19 to 11, arguing the state’s minimum wage had not kept pace with inflation and does not provide a livable wage. Mike Tipping, communications director for the Maine People’s Alliance, also criticized the ordinance’s exclusion of workers under the age of 18, saying it would create a second class of workers that get paid less and compete with older workers. He went on to criticize the ordinance’s exclusion of tipped workers, saying the average hourly rate for tipped workers in Maine is $8.93 per hour and the livable wage in Bangor is $15. Under state law, employers can pay tipped employees such as wait staff as little as $3.75; however, each worker’s hourly rate plus tips for the pay period must average the minimum wage of $7.50 per hour. If it does not, the employer must make up the difference. The Maine People’s Alliance, an advocacy group for fair wages and other poverty-related issues, has launched a campaign to force a citizen-initiated referendum in 2012 that would increase the minimum wage statewide to $12 per hour in by 2020. 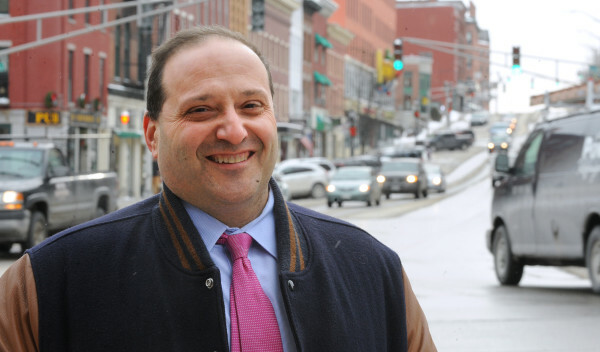 “I do hope that you take this opportunity and this chance to help those folks and make this ordinance a little better and pass it and make Bangor make a real statement for raising the minimum wage,” he said. While no one identifying him or herself as a restaurant owner spoke in favor of the minimum wage proposal during the hearing, at least one Bangor restaurant owner supports it. “I’m willing to eat that throughout the course of a year to honestly feel better about what I’m able to pay my employees,” he said. The higher pay rates reduce turnover, he said, allowing him to keep good workers longer. Additionally, he said, companies that pay only the minimum wage costs taxpayers because those who make $7.50 per hour often are forced to rely on public subsidies for housing, health care and other needs. With four councilors opposed to the proposed ordinance and three in favor, the deciding votes are expected to be with councilors Gibran Graham and Ben Sprague. Graham expressed conditional support for the ordinance Wednesday, if he can reach an agreement with Baldacci to remove the exemptions for tipped employees and those under the age of 18. Baldacci said he has no problem with that. If the two are able to reach a deal, it likely will leave Sprague with the deciding vote. Sprague, who was unable to attend Wednesday’s hearing, said last week he is reserving judgment on the issue. He said Thursday he will watch video of the hearing and formulate his thoughts on the issue in the coming weeks. The issue tentatively is scheduled for a council vote July 27.